Project can be defined as “Project management is the discipline of planning, organizing, and managing resources to bring about the successful completion of specific project goals and objectives”. As a Project Manager, You can know the importance of Project Management. Today we tried to collect very useful free web based project management tools for Project Managers. I am sure it can be heaven for Project Managers. You can bookmark and share this list to everyone. I am sure that it can helpful for project managers. TeamworkPM is a free online tool for everyone. It helps you to manage your task easier. It has a friendly interface, it does not matter how big or small your team. You can communicate and setup an online service for your team. You can easily collaborate and share. TeamworkPM is a web based app, your stuff or client can login it anywhere. Glasscubes is another web based online collaboration tool that helps you to do your project management task easily. It combines multiple tools and addresses the key challenges for project managers. It helps your team to manage your project effectively and organize your day to day operations. It also helps you to upgrade the version with notifications at any stage. Pivotaltracker is useful collaboration tool for people developers. It is helpful for those users who can work on web coding projects. Users can create a login and distribute the tasks in the same virtual room. They can setup priorities and stay on target based on team’s performance. Flow is a visualize way to see your project performance. 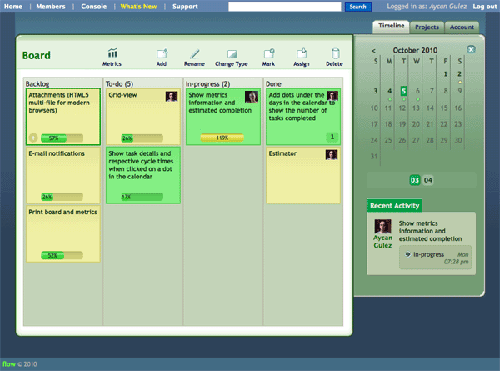 It is a lean project management application based on kanban. It gives to measure your project with just in time production. You can check your work in progress and estimate the accurate time of progress. HiTask is friendly web based for task management. You can keep your personal list and manage your team or project. You can drag-n-drop to organize your items. 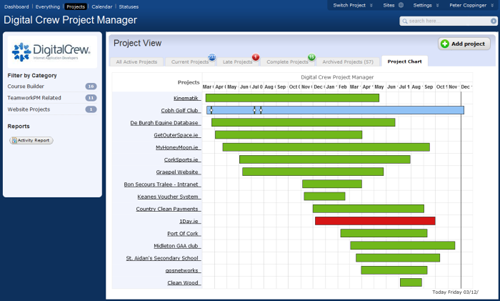 You can gather your team together and track progress of projects. Hitask is also keeping your business and personal task separate according to your preference. I have been comparing some business tools providers and came to a solution that Workforcetrack suited me the most, for it has lots of tools such as CRM, Project Management, Accounting and Finance, HRMS and many others. If you have a look there around you will find many other interesting things. The best part is the price that it is affordable and also it has discounts. I would recommend you to visit the site which is written above. It’s free with no users\space limits. These look pretty good, and I can recommend people take a look at one called Project Insight, too. It really helps people get on board and use whatever tool you’ve chosen when it’s easy enough for people to use and lets them work in the way they’re used to working. I’ve used Basecamp, Harvest, and Project Insight, and what’s especially nice about Project Insight is that it integrates with Outlook for alerts and reminders. Our project manager has been reviewing these tools as well. I would like to suggest LumoFlow to be added to the list. We are managing projects with ease and connecting our customers and partners to the online workspace.